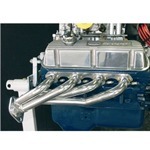 These headers were specifically designed for Wild Horses to fit 66-77* Broncos with late model 5.0 fuel injected engines. They will also fit earlier 289 and 302 engines. No starter interference problems and easy installation. 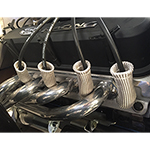 These are the best choice for low-end torque and horse power. Pick one of three coatings. 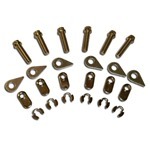 Our regular stainless steel or one of our advanced coatings: ceramic or titanium. Both of these help keep under hood temps cooler. 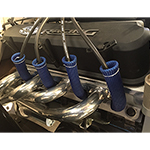 They come complete with all hardware gaskets and starter tubes with or without fittings to hook up O2 sensors. 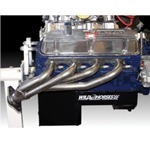 Pro Flow headers have a number of features that make them the best you can buy for the money. One model fits 289, 302 and 351W *. 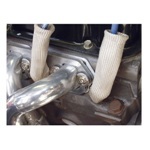 Headers don't need to be removed in the event of starter trouble. Complete with hardware and gaskets. 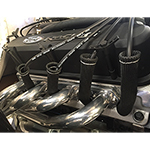 None of our headers will fit the 302 engines with 3 or 4 port air injector tubes. 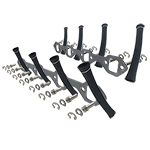 These were sometimes used on 74-75 Broncos as part of the emissions system. 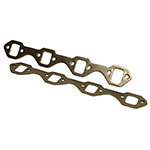 All of the headers can be modified to fit by grinding clearance on header flange. 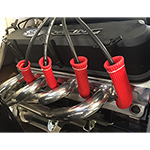 None of our headers are designed to fit 5.0 "P" heads. 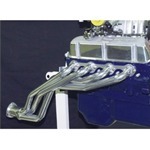 Headers do not require any modification of the smog system to render it inoperable. Existing smog systems should always stay intact. Consult your local laws before ordering.